This is my version of camel coat in a textured version. 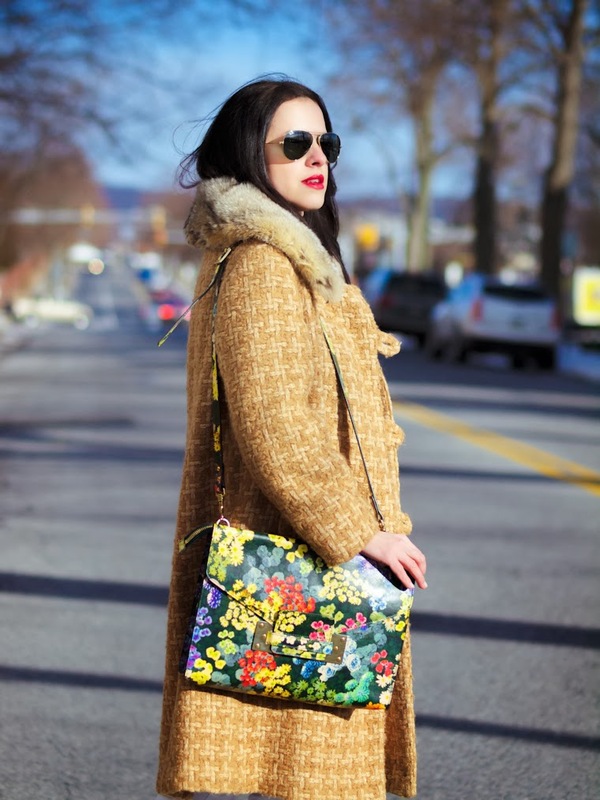 Speaking of visual effects, I also added a print to this look( especially because I love love love this colorful /floral bag). I had to burst some fresh colors and pairing this pair of bright heels with the"blooms"printed bag was what I came up with. Gorgeous bag and pumps!!! I’m also sporting yellow. I love how you paired it with the camel coat and white jeans. Looks adorable. Veronica! I’ve been following your blog for a while now, always looking forward to your next post. This post sings! The colour palette works brilliantly, not too matchy yet the tones are of similar depth. And your take on the camel coat is inspired! Well done! That bag is so beautiful! I love the outfit. The colors are stunning! 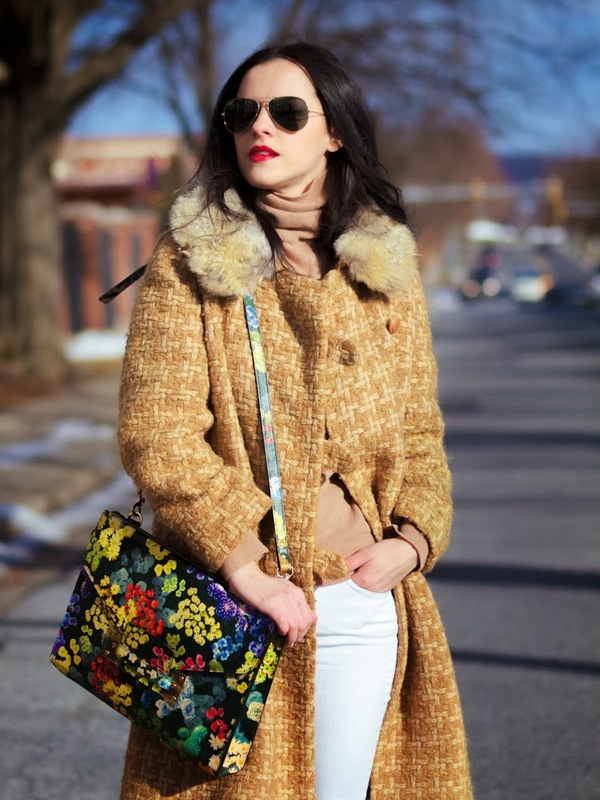 this bag is the perfect detail to create a gorgeous winter look! love it! Nice to see light colors at winter, because seems like everybody around is just wearing black. I love that this coat is textured and is not just your ordinary camel coat. The little bit of floral mixed with it is a nice little surprise to the look! The whole ensemble is looking nice, I only think that the coat looks slightly bigger size than you really are, the bag is gorgeous. I absolutely love the coat and shoulder bag combo!!! Love the way you accesorized the bag with that coat. This is such a great look. I have been a huge fan of colorful long jackets this winter. Great look!